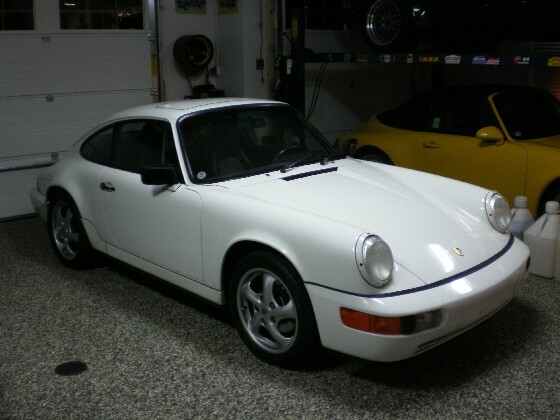 Picked up my "new" 964 yesterday, 1991 c2, 43,000 miles. Stock except for the ugly wheels. Can't wait to start moddin'! Last edited by shockm; 10-11-2007 at 08:15 PM. Nice collection.... can I come live in your garage? Nice. I'll be at Mid Ohio next weekend. The interior looks better in person, but will come out in favor of Recaros and RS door panels/carpet, new steering wheel, etc. The floor is a stone & epoxy product. Thanks for the compliments. Nice car, great collection! Enjoy. Congratulations on your new baby. Very nice. Keep us posted on the changes. 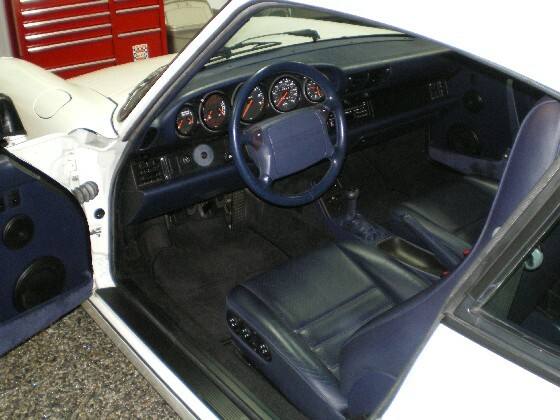 My '83 also has a blue interior, and I agree with you, it looks better in person than what photos show. 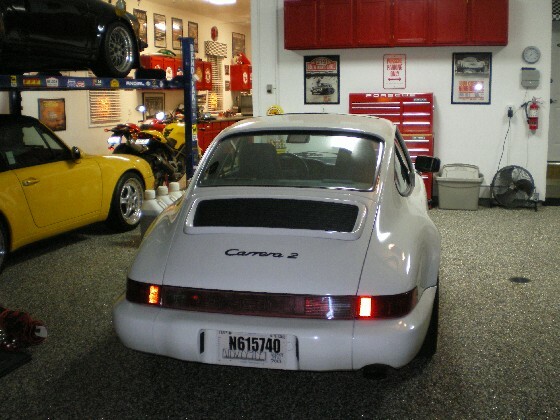 Have to agree with the others, wow, what a nice garage and collection. Enjoy it all in good health! I'd like to buy those seats when you remove them. That is marine blue, I believe. maybe the driver carpets and door panels also. Last edited by stevepaa; 10-10-2007 at 01:16 PM. 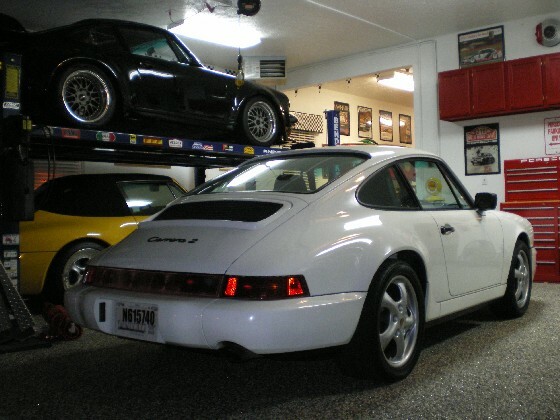 The very finest color for any 964! Looks good. I want a rear bumper like yours. Congratulations on your recent addition, shockm. Who wouldn't luv a garage like that! Hard to tell from the photo, Steve, but the colour of those seats might be midnight blue. Nice! 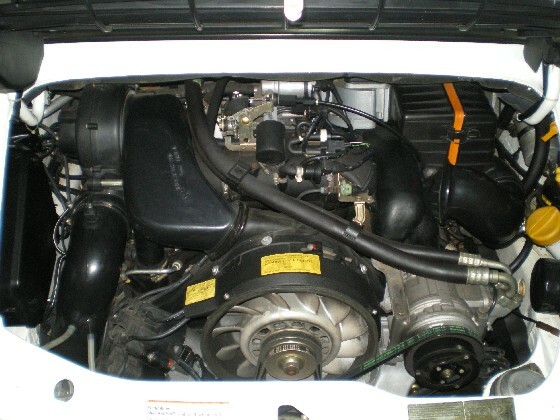 I have it's sister... a 1991 C4 also with 48k miles and blue interior. but yours is in better shape I believe! Nice garage you have room for another above your new one ! Change your interior, why not one like this?